‘Everybody Loves Someone Sometime’ is a studio album featuring “a few splashes from the 60s”, “a dash of trendy titles from the 70s”, some recent movie themes and stirred with tributes to some of today’s very finest artists including Kylie Minogue. All the tracks have since been released on various compilations, some of which are available for download above. ‘Harry Potter Melody’, ‘Eloise’, ‘Eternal Flame’, ‘MacArthur Park’, and ‘A New Day Has Come’. 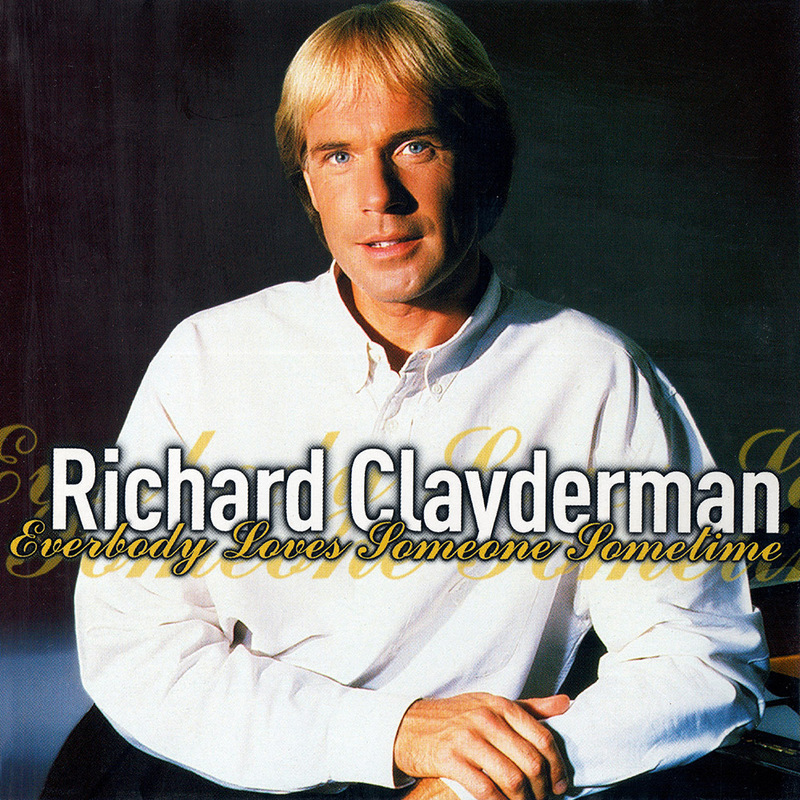 Since his debut title Ballade Pour Adeline, Richard Clayderman has recorded more than 1,000 melodies. The 14 titles in this new album are just the ingredients his impressive repertoire was missing. A few splashes from the Sixties (e.g. MacArthur Park and Eloise), mixed with some movie themes from yesterday ’s success Merry Christmas, Mr. Lawrence to the new Millennium ’s Harry Potter and The Lord Of The Rings, a dash of trendy titles from the Seventies such as Something Stupid and My Sweet Lord, stirred with a tribute to four female singers whom Richard Clayderman particularly admires; Celine Dion, Dido, Diane Kitten and Kylie Minogue. The album is finally garnished with two evergreens : one created for Dean Martin, the other for Louis Armstrong.